Official notification has been released for Kerala Teacher Eligibility Test. The examination will be held in the month of November as per the update given by Kerala Pareeksha Bhavan. Kerala TET/ K-TET 2016: Official notification has been released for Kerala Teacher Eligibility Test. The examination will be held in the month of November as per the update given by Kerala Pareeksha Bhavan. Candidates can download admit card for the examination from 20 October 2016, onwards. Examination pattern varies for each of the category mentioned above. There will be only one paper in each of the category. All questions will be Multiple Choice Questions (MCQs) each carrying one mark. Each of the paper will comprise of 150 questions. There shall be no negative marks for the test. Questions for Category I, II and IV (except languages) will be bilingual i.e. both in Malayalam and English. Question for Category III will only be in English (except languages). Category III: A total of 150 questions will be asked in this paper. 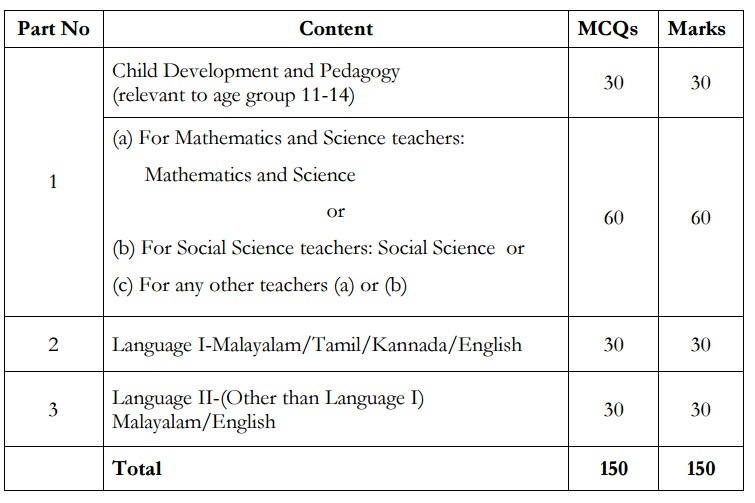 The nature and standard of question shall be prescribed syllabus published by SCERT; Kerala for classes VIII - XII but the difficulty level as well as linkages could be up to graduate level. Category IV: The questions in the test will be based on the topics of the prescribed syllabus published by SCERT Kerala for class I-VIII but the difficulty level as well a linkages could be up to secondary level. A person who scores 60% or more in the K-TET examination will be considered pass or qualified. Candidates who are declared ‘qualified’ will be awarded a certificate by the Secretary, Pareeksha Bhavan, Poojappura, Thiruvananthapuram on behalf of Govt. of Kerala, after verification of the original educational qualification certificates by the DEO’s concerned. About K-TET: Kerala Teacher Eligibility Test is an examination to assess the quality of teacher candidates for Lower Primary, Upper Primary and High School Classes in Kerala. The conduct of the examination is entrusted with Pareeksha Bhavan, Kerala.